If you are looking for quirky sitting pieces for your garden or homes, we found a roadside shop for all your needs. 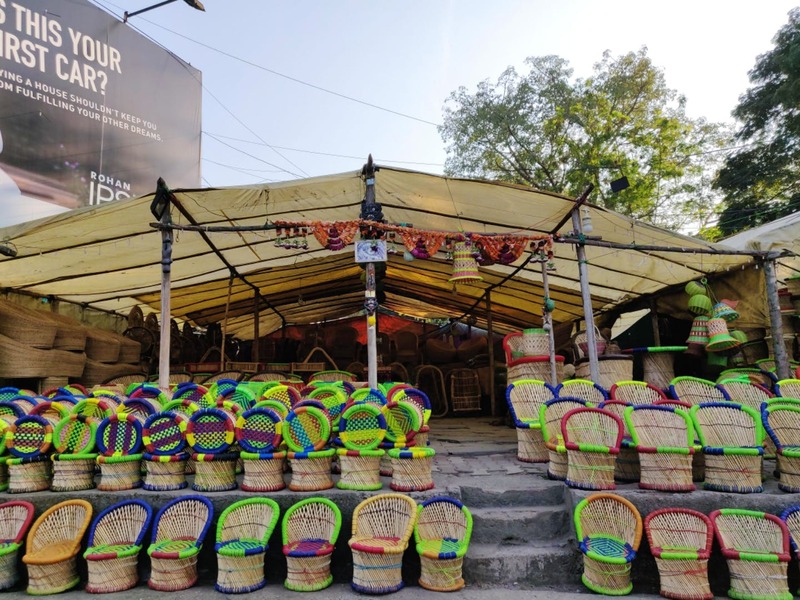 Situated opposite Nexa Showroom on Aundh-Baner road, this stall is full of bamboo and cane garden and patio furniture. Be it stools, chairs or mini sofas, this place has it all. We found some amazing small stools starting at INR 2500 which are sturdy and perfect to keep in your verandahs and gardens. As you move ahead, you will find hexagonal sitting furniture for INR 3500. The biggest ones start from INR 4000. The best part is that they are affordable and add a classy touch to your place. Don't underestimate the humble looking pieces, for they can carry even heaviest of weights due to their solid craftsmanship. Just a tip, if you want a Pinterest-worthy garden, you have to check out these pieces and match them with other garden accessories such as gnomes, mini fountains, pots, stones etc. We think small tables made out of cane would really complete the patio furniture.